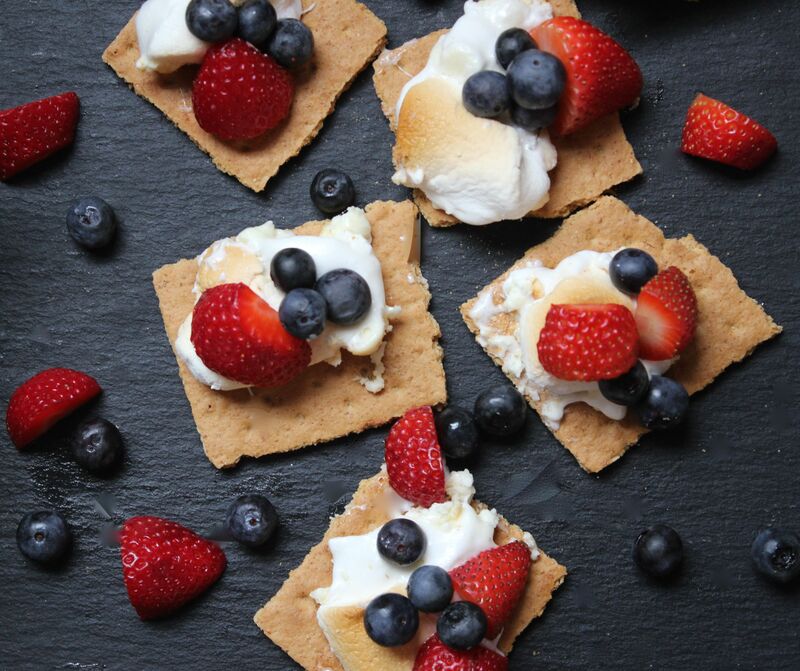 White Chocolate S’more Dip topped with strawberries and blueberries—AMAZING!! Incredibly easy to make that you can even have your kids pitch in to help. I can assure you, this is a dessert you want to have on Saturday evening after a long day of celebrating! Pour the chocolate chips in an oven safe baking dish. Make sure it is spread evenly across the bottom. 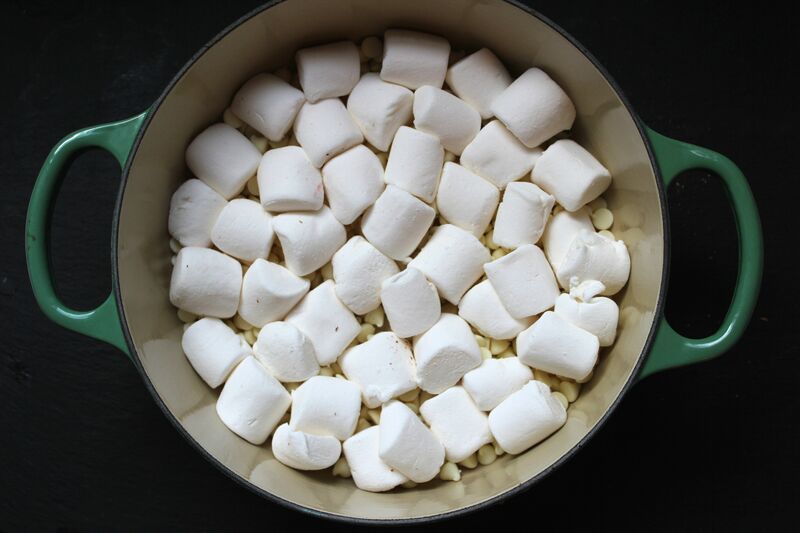 Cut marshmallows in half and cover the chocolate completely. 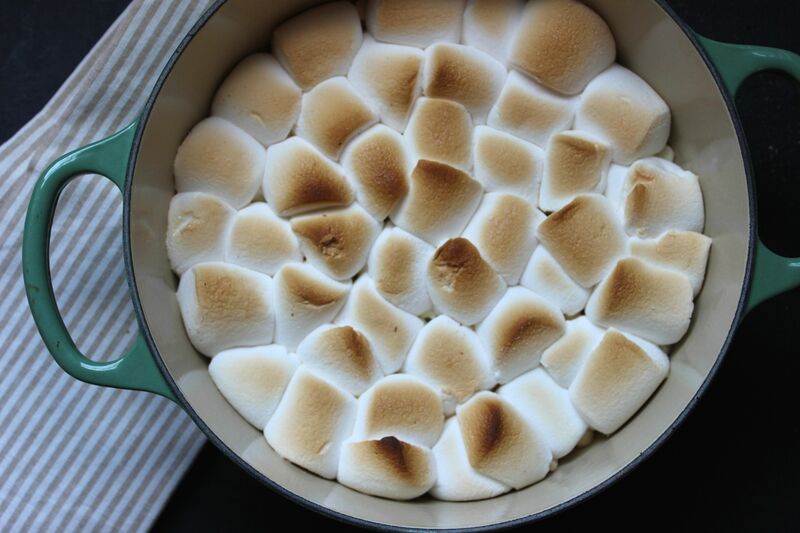 Place in oven to bake (uncovered) for 7-9 minutes until the marshmallows are browned and the chocolate is melted. 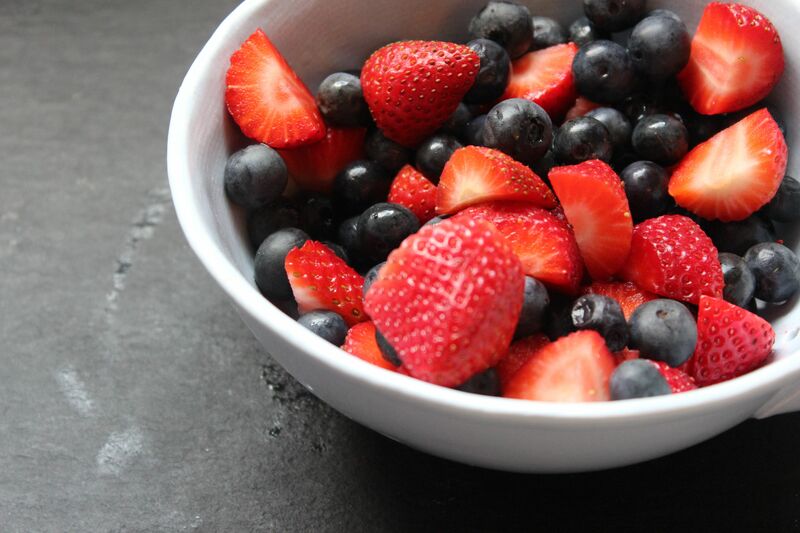 While the dip is baking, quarter strawberries and toss with blueberries. 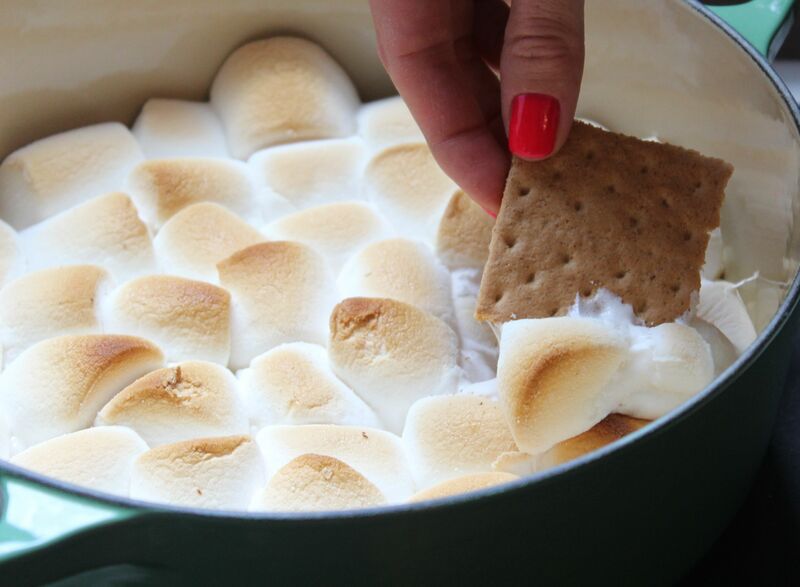 When dip is ready, allow to cool for a minute before serving with graham crackers. 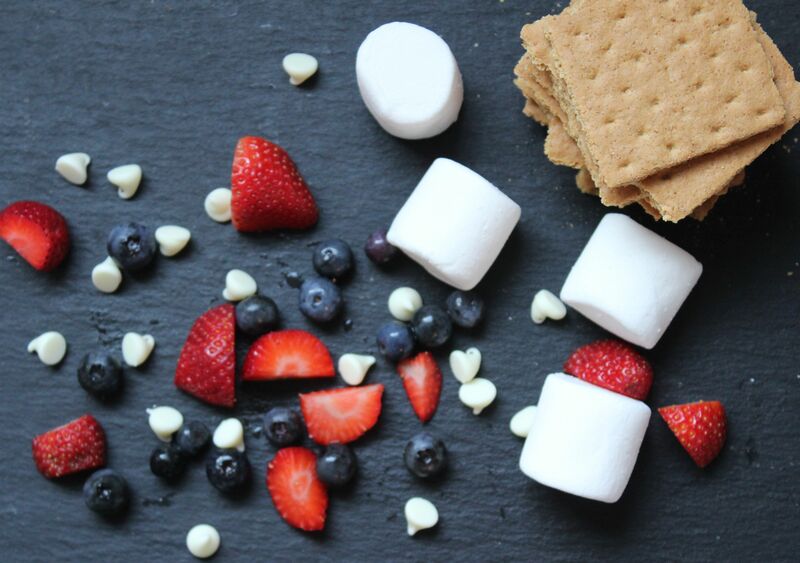 Top each smore with strawberries and blueberries.